ISIS Hates France & The Christians – LookOut! France. 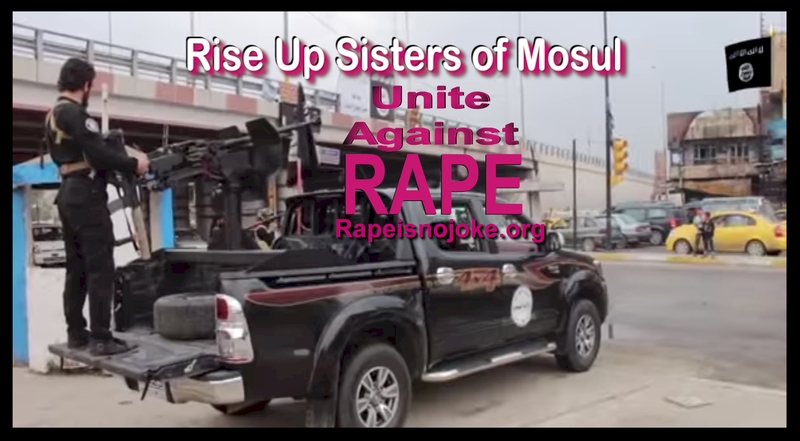 The Black Parade of foolish clowns in Mosul, Iraq continues its war against Women, Christian Women, and French Women. Now ISIS is hell bent on toppling the work of Empress Eugenie, the wife of Napoleon III. As I walk by and wonder “why?”, I think maybe there are better things to question. Perhaps religion is something that should be completely private with no visible signs. That way nobody needs to become enraged at another person’s beliefs and no one needs to know more about a person than is necessary. I get crazy thoughts sometimes. The Clock Church Tower in Mosul was built as an add-on to the Latin Church in the 1870s by Empress Eugenie, the wife of Napoleon III – the last emperor of France – who paid cash for the building of the Mosul church’ s tower, the locals say. Anything to do with France, the Islamic State hates with a passion. They have this thing for France that goes unexplained. Security and law enforcement people in France need to be on their toes. Something awful is planned. The French-inspired tower rose over the rooftops of buildings in Mosul. Dominican monks at the church had to promise they would not climb up the tower and peer down upon residents sleeping on their roofs in the hot summer months. I doubt they kept their promise. Mosul women are very pretty and it would be difficult not to peek if a friar had his chance. Mosul is sliding toward death. The hatred storm. Get the warning here. Women and Girls are Daily Raped and Killed In Syria.